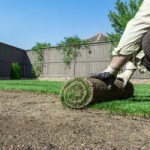 The best tree care service companies know that there are a lot of misconceptions out there about mulch. When you think of mulch, you likely picture the big bags of wood chips you can buy at the hardware store. What you might not know is that some of those wood chips come from endangered tree species. That’s terrible news for the environment, but even worse news for you is that some of those tree sources are diseased. Bet you didn’t know you were spreading sick tree matter in your gardens! Another thing you probably never thought of is this: the word “mulch” actually refers to anything you can use to cover soil. That means that the shredded rubber under your kids’ swing set is actually mulch. The rocks covering your neighbor’s front yard are really mulch. So how can you tell which type and source of mulch is the right choice for your landscaping project? The thing about using rocks as mulch is that they tend to compact the soil underneath. This makes rock an excellent choice when landscaping an area that does not feature any plants. If you just want to beautify a blank space and keep dust at bay, rocks will do the job beautifully. But if you are planting flower beds or mulching under trees and shrubs, wood chips are a far better choice. They will help lock in moisture and will not compact the soil like rocks will. And over time, the wood chips will break down and add organic matter to enrich the soil below. This means that wood mulch will have to be replenished periodically, but the health of your plants and the beauty of your beds are worth it. Yet another thing you probably didn’t know about mulch is that many of the best tree care service companies offer free mulch – all you have to do is ask! When these companies remove trees, most of their customers don’t want to keep all that wood. Most of these trees get put through the wood chipper, resulting in mountains of rich wood mulch. Why pay top dollar for mulch at the hardware store when you can get local mulch for free? 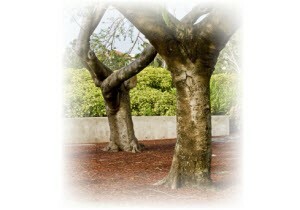 Su-Tree takes great pride in being considered one of the best tree care service companies in the Alpharetta area. With over 25 years of experience serving Fulton and surrounding counties, we know the challenges local homeowners face. Whether you are looking to spruce up your property or recover from storm damage, Su-Tree is happy to provide quality, reliable service. We guarantee complete customer satisfaction at each and every project – you won’t find a promise like that anywhere else. If you have more questions about the best tree care service companies, call Su-Tree at (404) 392-6935.